I can't believe that Christmas is merely days away. I know that most people are in holiday preparation mode and I need to get on it asap. We are foodies and enjoy a feast during this season which usually includes ham, prime rib, duck, variety of sides and desserts. 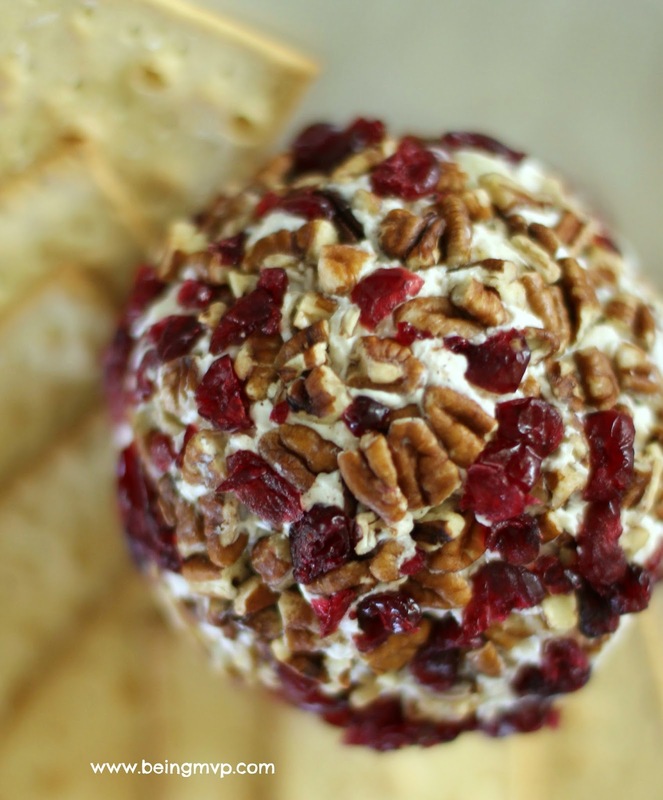 My husband likes to graze and snack throughout the day and this year, I wanted to try making the Kraft Holiday Cranberry-Pecan Cheese Ball. 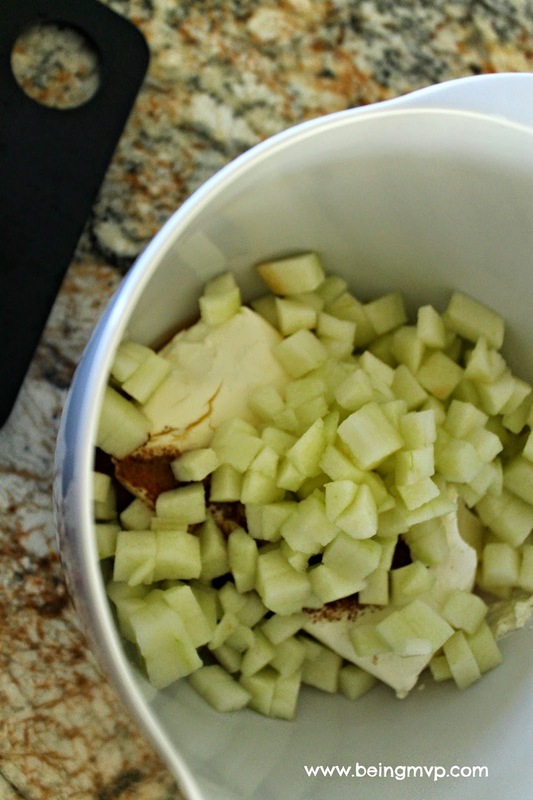 Mix cheese, apples, honey and cinnamon until blended. 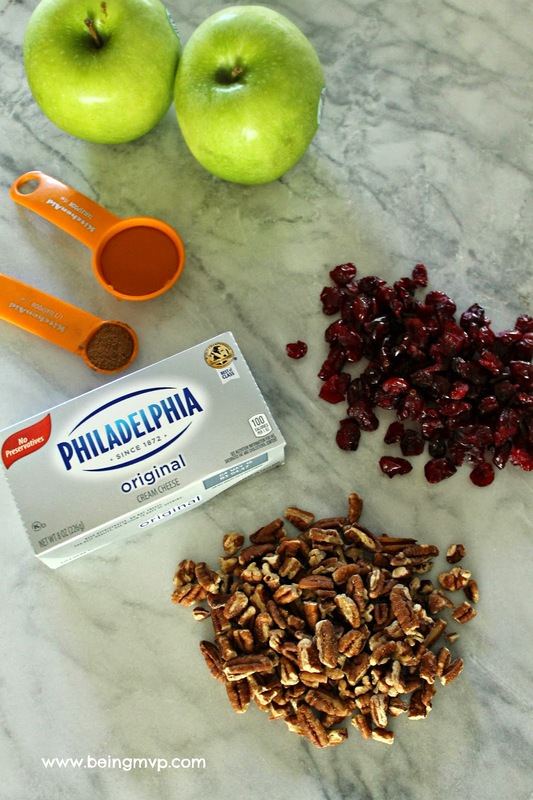 Coat evenly with nuts, then cranberries. How beautiful is this and so easy to make. Just pair with your favorite crackers and it is ready to serve. This will definitely be a new family tradition because of the ease and enjoyment by everyone. The Kraft Foods Hub has some amazing holiday treats that can be whipped up just in time for the holidays. From popular cookie ball pops to a peppermint hot cocoa in a jar, these can also be made for gifting to friends and family. I love the holidays because of the gathering of family and enjoying some well-deserved time away from the hustle and bustle of everyday work life. I have so many Christmas Ideas on my Pinterest board and hope to work through each recipe soon! 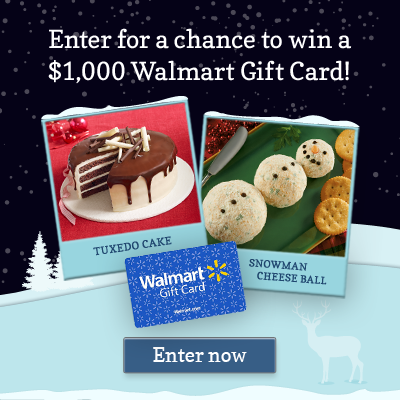 Win a $1000, $250, or a $100 Walmart gift card! Oh my gosh...this looks so yummy! Our family loves cheeseballs and this one looks like another one they would love. Thanks for sharing the recipe! The tuxedo cake looks amazing. All of your recipes look so fantastic! Yummo!! 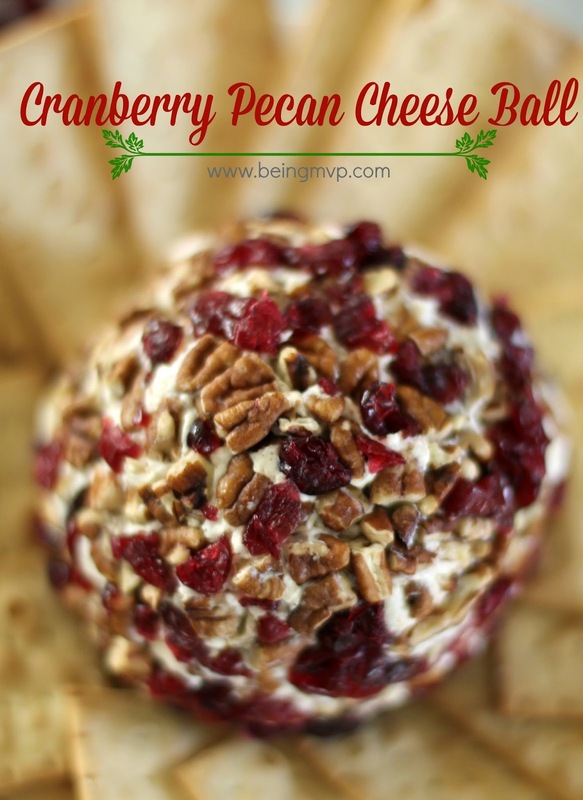 this sounds like the perfect mix of sweet and savory!! 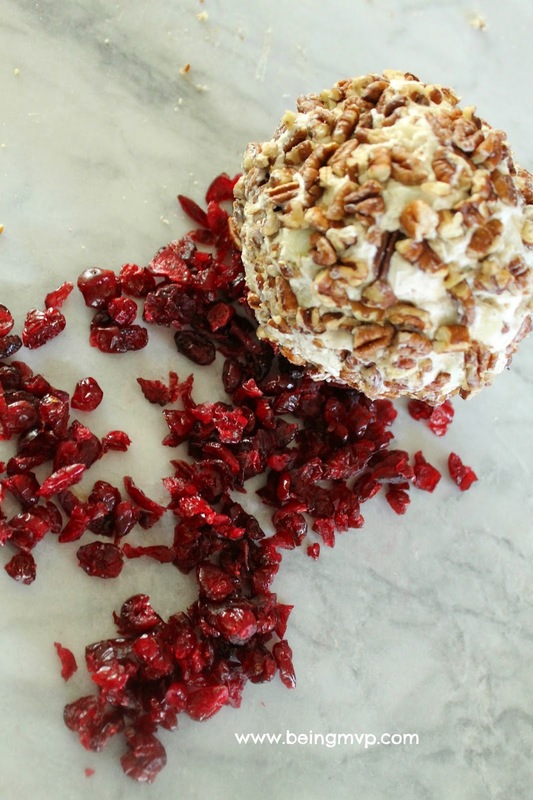 Cranberries are such a win for the holidays!! I'll definitely be trying this one! !